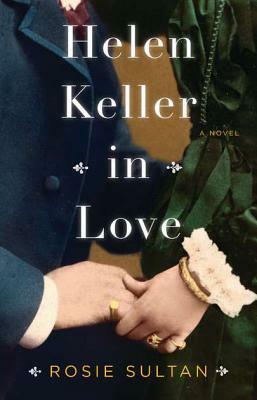 When I posted I received Helen Keller in Love in my mailbox a few weeks ago several people expressed interested in it. Well, here is your chance to win a copy. Rosie Sultan earned her MFA at Goddard College and won a PEN Discovery Award for fiction, on the nomination of historian Howard Zinn. A former fellow at The Virginia Center for the Creative Arts, she has taught writing at Boston University, the University of Massachusetts, and Suffolk University in Boston. Her short story "Blue is Your Color, Dear" appeared in Other Voices. She lives with her husband and son in Brookline, Massachusetts. What triggered your interest in Helen Keller's life, particularly her private life? I've always been fascinated by Helen Keller. I read my first book about her when I was in the third grade, and I've read almost everything about her since. A few years ago I read a new biography of Helen: toward the book;'s end a short chapter - maybe six pages long- said she had a love a affair at age thirty-seven with a twenty-nine year old journalist from Boston. I couldn't believe that Helen Keller had a secret love affair; I couldn't believe she had defied her family and tried to run away with him and I couldn't believe the chapter that told that story was six pages long! I put the book down and said, "There's story here. I'm going to tell it." In conducting your research in Helen Keller, her family, and inner circle, did you come across any places or documents that were particularly noteworthy? Or, say...shocking? Yes, absolutely. I found some articles in the New York Times that surprised me because in them Helen protested the United States entering World War One. In biographies I found that the public who attended her speeches against the war revered her courage. They mobbed her after her speeches and even took the flowers off her hat. Other surprises were that at the turn of the century Helen supported Margaret Sanger and the use of birth control and she gave her support to the NAACP. Her southern family was scandalized. Helen is a very independent thinker, yet, based on her disabilities, she's very dependent on those around her. What was it like writing a character with such a complex dynamic? What was it like to write about her? It was thrilling. I discovered that she's not the person we all thought we knew. I got to bring to life her many dimensions: Helen was a public figure, an author, a daughter, a sister, an activist. And I go to bring alive her secret desire for love. Viking is giving away a hardcover copy to 1 lucky reader of Girl Who Reads. It can only be sent to a US or Canada address. I've always been fascinated by Helen Keller as well! I'd love to read this book. I'd love to win this book. Alas, I don't live in North America. Darn this infernal globe! What do you think about Helen Keller having a secret love affair? Helen Keller love affair. Quite likely really. She was able to do many things that seemed impossible. A love affair would have been relatively easy. This sounds like a great book and I have to say any book with love affair tends to be good I wonder how the story will unfold! I would say good for her. So sad she wasn't allowed to get married and become independent of the controlling (but beloved)Annie. She got on with her life anyway--another reason to admire her. Sounds like a great read. I hope win! Sounds like a very exciting read and something I would so be interested in reading. When I had to do school reports that were my choice I would do them on Helen Keller, Anne Frank or Shakespeare. I love to learn more about them. Thank you for doing such a great give away. I am intrigued by the story of Helen Keller having a secret love.